Eating and imbibing at home and around New York's Capital Region. 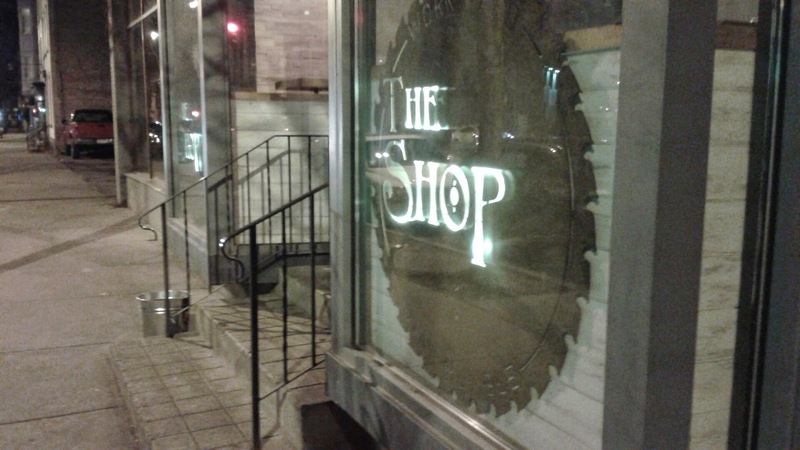 Even before its opening a little over two months ago, I was excited by Kevin Blodgett's new bar/restaurant concept in Troy called simply The Shop. In speaking to the Times Union, Blodgett said, "We want a casual place that's comfortable and affordable, where you can get something other than wings, nachos, mozzarella sticks and burgers." He added, "There's a lack of diversity here in town in terms of food and drink options. We wanted to help change that." I finally made it to The Shop for dinner and beer a few weeks ago, and though The Shop has been dealing with the loss of their head chef right before opening, I came away fully impressed by every aspect of this establishment. The menu may be limited at the moment--though that should change soon, I've heard, now that a new head chef is in place--but the food was excellent, the beer selection quite solid, and the space gorgeous in its reclaimed-wood and industrially rustic styling. I find myself very rarely eating at food trucks. I just never happen to be near these trucks, and seeking them out at festivals, where I'd end up standing in line for a while only to then have to eat my meal standing up, doesn't ever sound particularly appealing. But that's my problem. Among Capital Region-area food trucks, Slidin' Dirty was always one near the top of my radar. The slider menu was somewhat enticing, the side of avocado fries particularly intriguing. 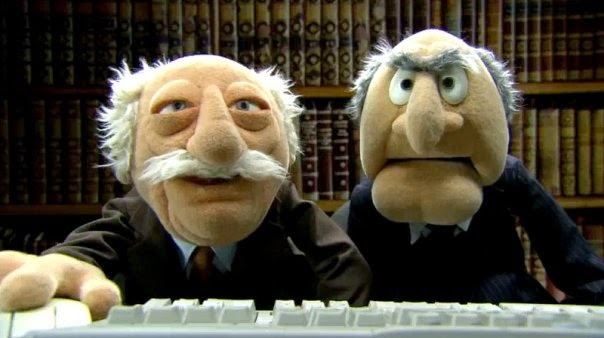 It's been quite some time since I posted here on the blog. There are a number of reasons for this, but one of the main ones is that I was tired of writing negative reviews and then having to justify such an opinion. I wanted instead to be able to find something legitimately good that I could rave about here. 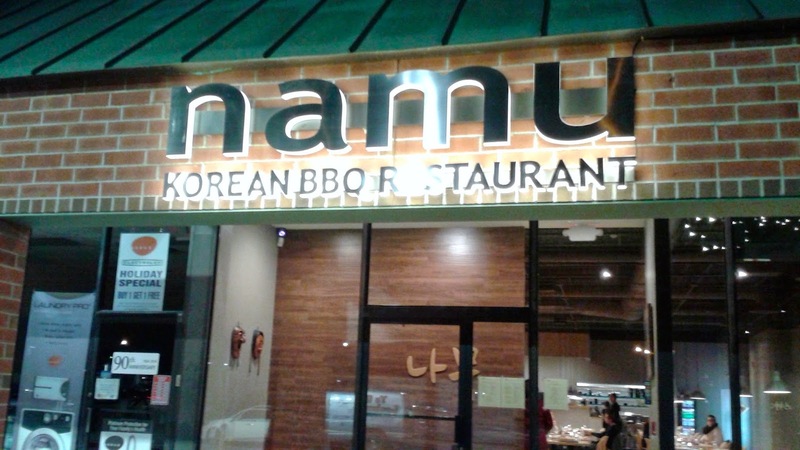 That place has just opened within the past month in a nondescript strip mall off of Central Ave. in Colonie: Namu Korean BBQ. I've been hopeful about a few different Korean restaurants here in the Albany area, starting with Kinnaree, which, after that first experience, slipped to mediocre or worse. There was also Kabuki in Latham--mentioned in that previous post--which became Seoul, which we've tried multiple times and don't intend to bother with again. Overpriced, underspiced, and so on. Not worth writing about. And yes, there's Mingle, which does make some good food, but with the fusion concept and prices of their dishes, it doesn't fit in the same category. So when K and I heard about Namu opening in early November, we approached it with a combination of hopefulness and trepidation. We're both clearly fans of Korean cuisine and, having tasted it done well in locales as diverse as southwest Missouri and northern New Jersey, hold it to a high standard. Namu exceeded our expectations. Multiple visits in its first month open yielded a variety of delicious, authentic food at reasonable prices in a surprisingly hip and comfortable atmosphere. I understand the feelings of many area residents that we don't exactly need more Thai restaurants here in the Capital Region, but the fact that a new one just opened up in my neck of the woods is pretty exciting. 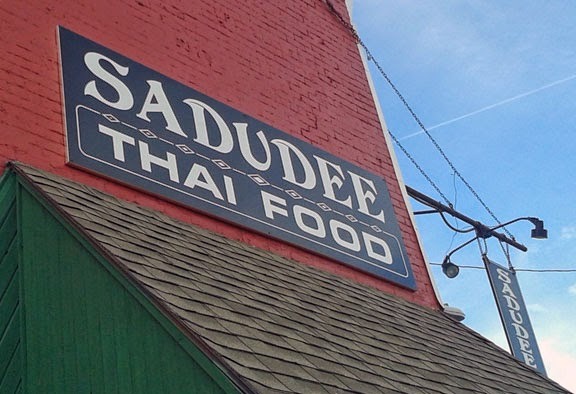 I've only been to Sadudee Thai Restaurant in Watervliet once so far, and would prefer to check out more of the menu before writing about it, but judging from the emptiness of the space on a recent Saturday night, I figure it's flying under the radar and could use some good word of mouth. Because this one experience showed that Sadudee might be right near the top of the list of area Thai restaurants. I like Jonathan Gold. Of course, right? He's a Pulitzer Prize winner, one of the best food critics (or food writers in general) in America. I've been familiar with his work for some time because I went to college in Los Angeles at a time when he was writing for the L.A. Weekly paper; even though I was far from a "foodie" back then, I do remember reading many of his pieces with interest and hitting up a couple of his finds, like some dive taco joint in Santa Monica that was, unsurprisingly, fantastic. More than anything, I regret spending four years in that city and not following his leads on a weekly basis, particularly because I can't foresee myself living there again. But I mention him here because I just came across an interview he did with Eater, and some of his comments got me thinking about the role of food criticism in a city like Albany and my (albeit small) role in that. Compared to other cities I've lived in or near, Albany is a place in which tough criticism doesn't flourish. There are reasons for that, though; Gold hit on some of them, and after I parse his comments, I want to elaborate a bit since I've been pondering this issue lately while mostly taking a little break from my own food writing. When I stepped down from doing the Eat This articles for All Over Albany in March, necessitated by the busyness of teaching full time and preparing for a wedding (not to mention trying to slim down for it), I still had a couple restaurants on my list of hopefuls that I hadn't yet gotten to try. 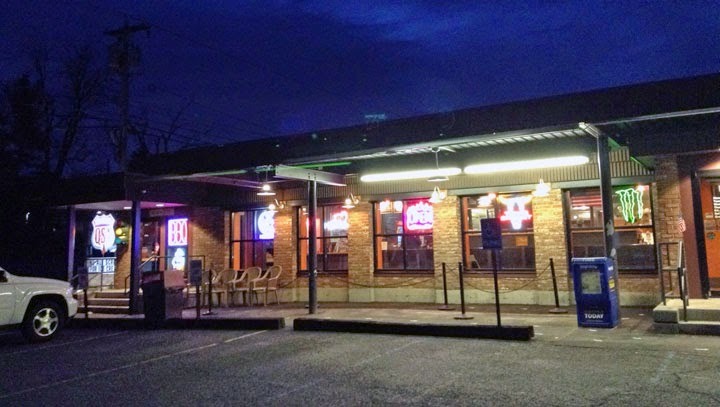 Fortunately, I still have this blog (even if it has been in hibernation lately), so I can still talk about PJ's Bar-b-qsa in Saratoga, which might now be my favorite barbecue joint in the area, thanks especially to an old favorite of mine, burnt ends. You don't see burnt ends on the menu at every barbecue restaurant, and to many the name wouldn't exactly be enticing. They're a regional specialty, a staple of Kansas City barbecue, and after spending two years in that area, I was thrilled to see them on the menu at Bar-b-qsa. Tasting them--and a number of other items at this casual hangout on Rt. 9 just north of Exit 13N on the Northway--was even more exciting. A recent transplant to the Albany, NY, area, I'll be eating my way around the Capital Region, futzing in the kitchen, and wasting time watching food tv. A Meatless McDonald’s Burger Is a Given, So What’s the Holdup?